Last night, University of Arkansas Athletic Director Jeff Long made a decision to place University of Arkansas Head Football Coach Bobby Petrino on paid administrative leave. At a time when the Razorback football program is flourishing, Jeff Long could make a decision to fire Coach Petrino. 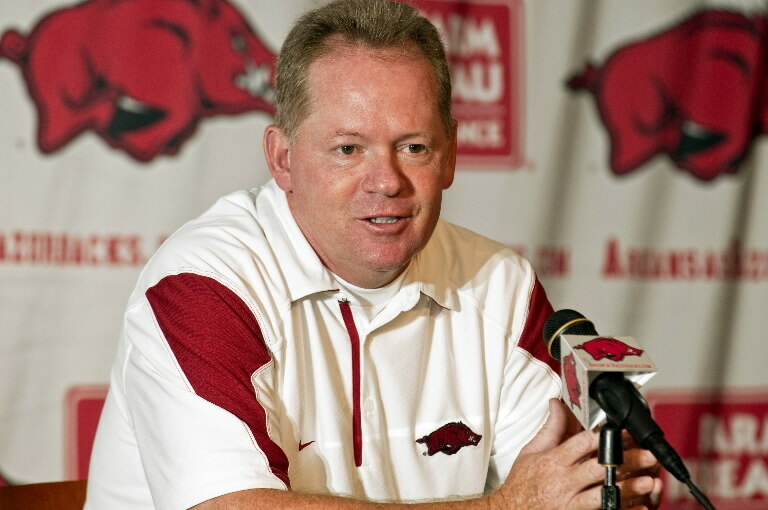 Although all of the details about Coach Petrino’s motorcycle accident and issues surrounding that motorcycle accident have not completely been revealed, one thing all Razorback fans know is how valuable he is to our football program. Since the decision to place Coach Petrino on paid administrative leave has been made, I’ve been leading a grassroots effort to keep him as our head football coach. Right now, we cannot afford to lose Coach Petrino as our head football coach. I’m not sure why the University of Arkansas Athletic Department is trying to act all holy right now, considering I’ve worked on the inside of the University of Arkansas Athletic Department and know that worse things go on than these current issues with Coach Petrino. We must flood Athletic Director Jeff Long’s email addresses and telephone with our support for Coach Bobby Petrino to remain the head football coach. We need him immediately back on the football field to prepare our team to win the BCS National Championship. Please email Athletic Director Jeff Long at the following email addresses to express your support for Coach Petrino to remain the head coach of our football team: jefflong@uark.edu and jplong1@uark.edu. Additionally, call his university office number: (479) 575-7641. Take a moment and join the “Team Save Coach Petrino” Facebook group.